Multi-function Mobile Point of Purchase System. 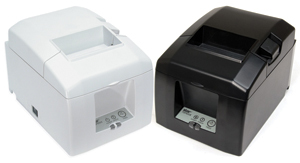 Compact and sleek featuring a printer, cash drawer, scanner, and device stand. Available in Black or White and compatible with iOS®, Android™ and Windows®. Bluetooth 2.1 and USB Connectivity, "Drop-In & Print" Paper Loading. 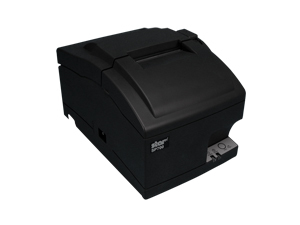 Star Micronics' mPOP™, Mobile Point of Purchase is the first hybrid for tablet POS that combines a cash drawer and printer peripheral.